As 2018 prepares to shuffle away like a pensionable usherette and 2019 gets ready to throw open its doors like a brand new 28-screen multiplex, it's time to cast our eyes over next year's cinematic offerings. From Oscar hopefuls and musical biopics to superhero sequels and blockbuster remakes, there's something for almost everyone over the next 12 months. Here's a by no means exhaustive preview of coming attractions. 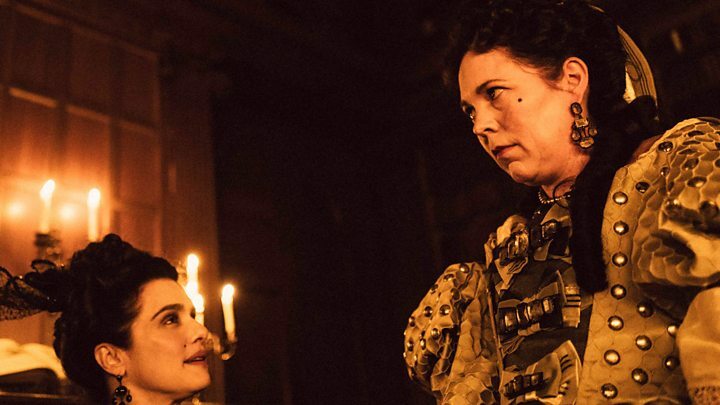 It all kicks off on New Year's Day with quirky royal drama The Favourite staking its claim as the one to beat. It's early days, but many are already tipping its leading lady Olivia Colman to be the latest queen-playing Brit to take home an Oscar. And there'll be more superheroics in March with the arrival of Captain Marvel, the first female heroine from the MCU (that's Marvel Cinematic Universe to you) to get a stand-alone vehicle. The superhero bandwagon rolls on into April with the debut of Shazam!, the return of Hellboy and Marvel's Infinity War follow-up Avengers: Endgame. Pokemon's Detective Pikachu gets his own big-screen vehicle this spring, while the Men in Black will be back - minus Will Smith - in Men in Black International. Toy Story 4 and The Secret Life of Pets 2, meanwhile, will keep the little ones entertained - as will new animations Missing Link and Wonder Park. Elton John's rise to fame will be recreated in musical biopic Rocketman, while the music of the Beatles will infuse the latest (and still untitled) comedy fantasy from Love Actually's Richard Curtis. And then there is Aladdin, another live-action Disney remake starring Will Smith as the Genie. We knew he'd turn up somewhere, and he's reassured fans he will be blue, just like his animated predecessor. There are six letters in summer and six letters in sequel. Coincidence? Probably, but there's no doubt they go together like Wallace and Gromit. You only have to look at this year's offerings for proof, with everything from Spider-Man: Far From Home and Gerard Butler actioner Angel Has Fallen to It: Chapter 2 and Fast and Furious spin-off Hobbs and Shaw ensuring it will be déjà vu all over again at your local picture palace. But wait! Who's this? Why it's only Quentin Tarantino, back to bring us a dose of Manson-era mayhem in Once Upon a Time in Hollywood. There are also big-screen versions of two British telly favourites - Downton Abbey and Horrible Histories - plus yet another Disney remake in The Lion King. More TV staples reach the big screen towards the end of the year via new versions of Charlie's Angels, The Addams Family and Masters of the Universe. We'll also see Joaquin Phoenix give his version of Batman's nemesis in Joker, not to mention Arnold Schwarzenegger in the latest iteration of the Terminator franchise. Frozen 2 and Star Wars: Episode IX will bring down the curtain on what's certain to be a bumper year for the Disney empire. And we'll end with something paws-itive and purr-tinent - the all-star film version of moggy mews-sical Cats, arriving on 20 December to ensure we're all feline groovy next Christmas. Oscars, Baftas, Golden Globes: Who stands to win this year?